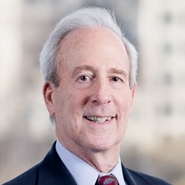 Principal Harold Himmelman (Washington, DC) will speak at the American Bar Association's 12th Annual National Institute on the Civil False Claims Act and Qui Tam Enforcement, taking place in Washington, DC, from June 13 to 15. The Institute will cover the nuts and bolts of False Claims Act litigation, one of the fastest growing areas of federal litigation with settlements and judgments totaling billions of dollars each year. Harold will serve as one of the featured speakers in a panel discussion titled "Damages and Settlement Strategy," which will take place from 10:45am to 12:15pm (EDT) on June 14. Panelists will discuss developments in the areas of damages, relator and government prerogatives, mediation, fees, and negotiation of settlement agreements. For more information and to register, visit the ABA website.